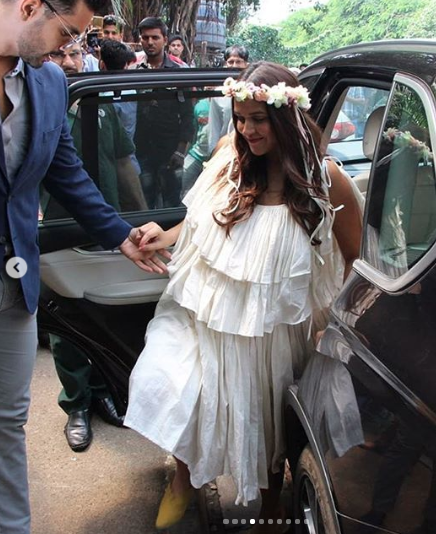 Neha Dhupia Looked Like An Angel At Her Baby Shower & We’re Going *Amen*! 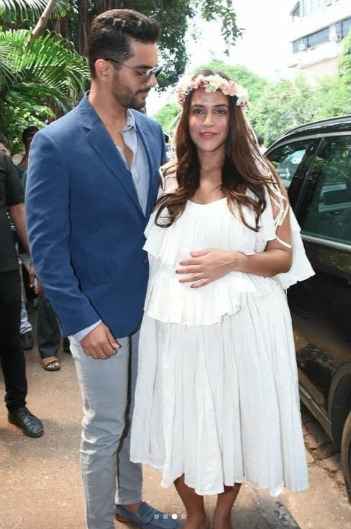 Bollywood's newest, most stylish mommy-to-be, Neha Dhupia had her baby shower today. Needless to say, the fashionable Bollywood actress and reality TV show host was dressed to the nines when she stepped out of the car with husband, Angad Bedi. Even as he helped her out of the car, we couldn't help but melt at the sight of Angad looking at Neha with love and adoration. Who could blame him? 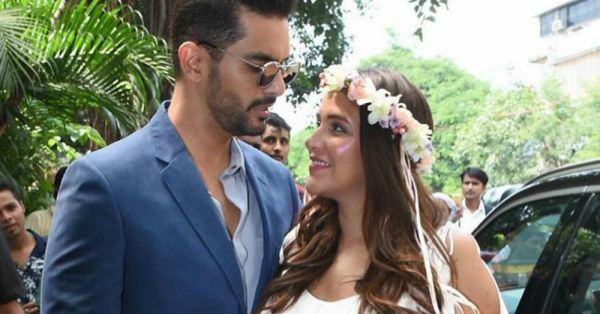 We've fallen as much in love with Neha Dhupia's look as Angad. The actress wore a breezy tiered white dress that settled loosely around her calves. The dress, in our opinion, is nothing short of bohemian paradise. With self-tie straps and flirty frills, the white dress elevates Neha's pregnancy glow and is the perfect baby shower attire. Neha accessorised with vibrant green mules, also with frill detail, and a floral head wreath, adding a pop of colour to the white outfit. Doesn't she look like an angel? No wonder Angad can't take his eyes off her. Karan Johar looked too cool for school in a pink printed shirt and jeans. Preity Zinta wore a floral print sundress, sunnies and classic hoops. Sunil and Mana Shetty arrived for Neha's baby shower looking like #couplegoals in vacay worthy outfits. We're super impressed with Mana's statement necklace... and also by how cool Sunil Shetty looked. D-A-M-N! 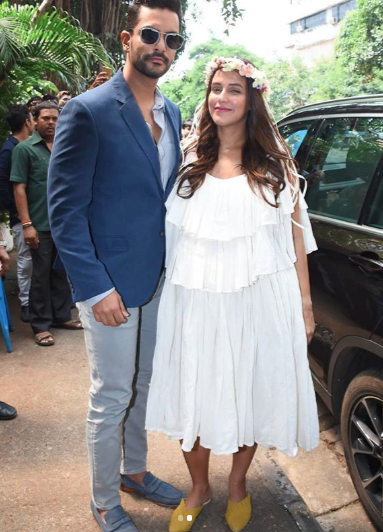 Apart from the above, we spotted Rahul Bose, Arbaaz Khan with his rumoured girlfriend and also fitness coach Yasmin Karachiwala at Neha Dhupia's baby shower venue. It was a good Sunday, indeed.